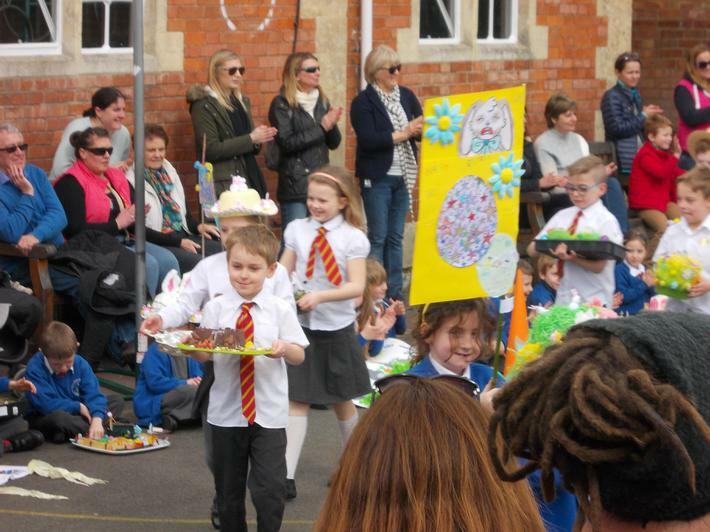 The sun shone on the 31st March for the Mark First and Preschool CE Academy Easter Parade. It was a spectacular sight with all the handmade hats, flags and gardens. 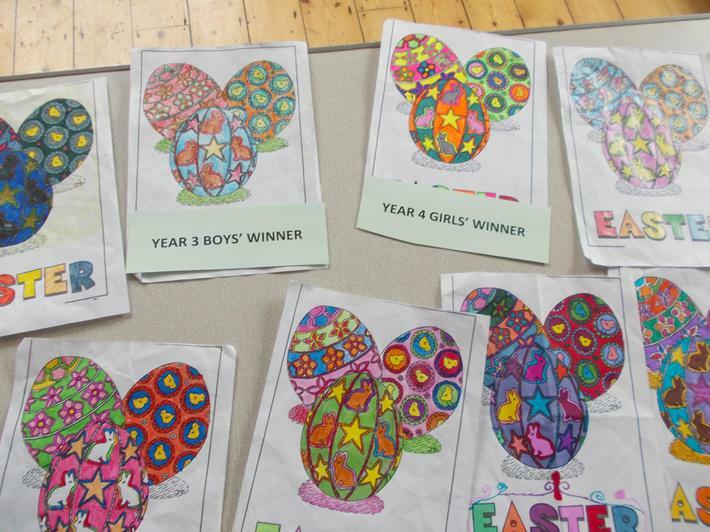 There was also an Easter colouring competition that the children enjoyed entering. 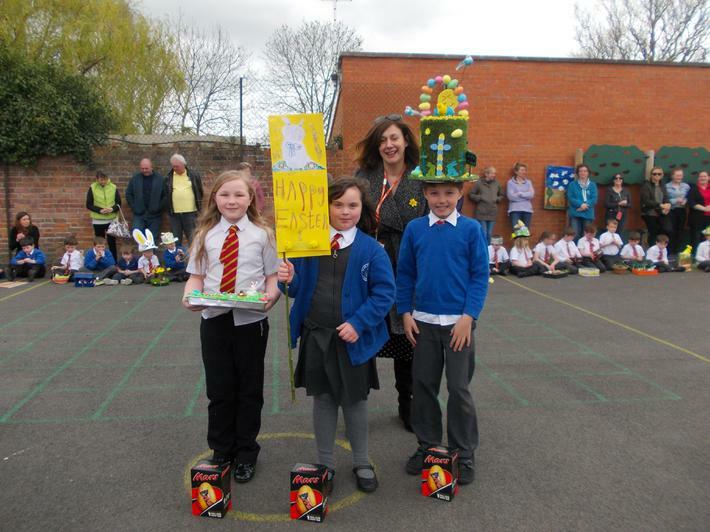 Every child got an Easter treat to take home and the PTFA held game and cake stalls which proved very popular. 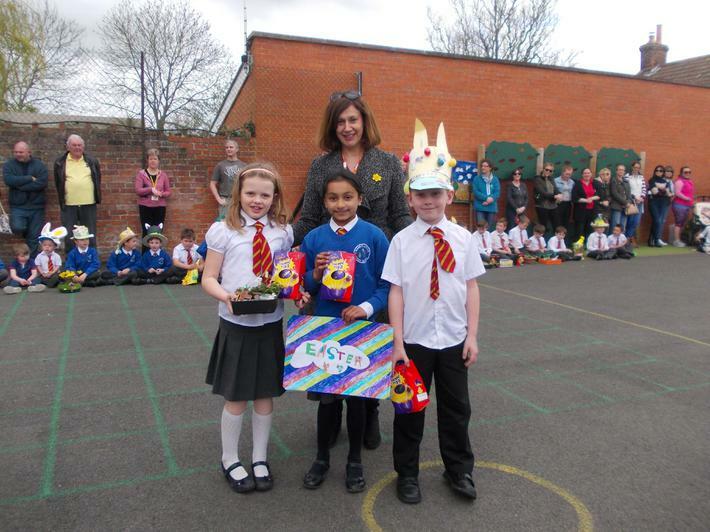 Debra Loney, who is a governor at the school presented the prizes.